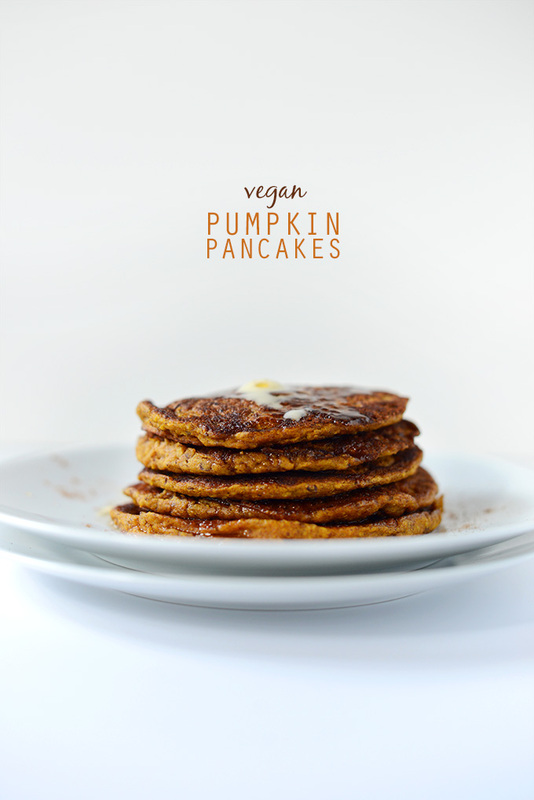 Vegan Pumpkin Spice Pancakes – Tender, spiced vegan pumpkin pancakes that require just 1 bowl and 20 minutes. 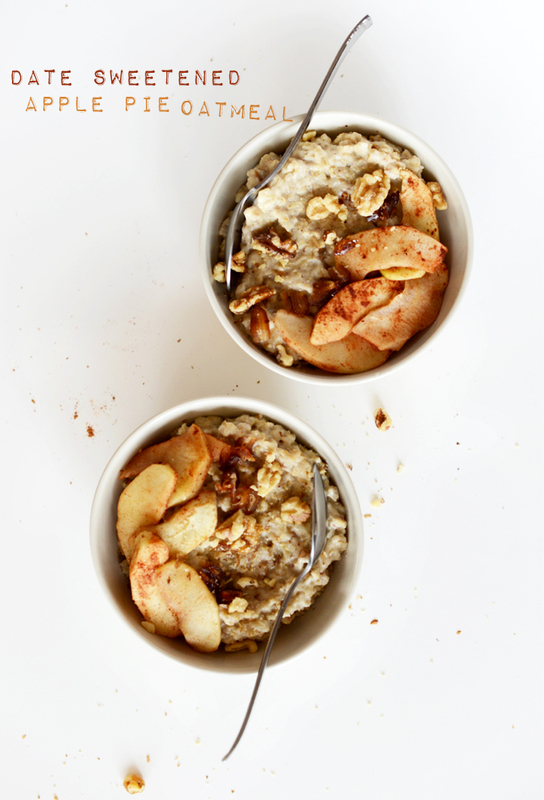 Healthy, simple and perfect for chilly fall mornings. 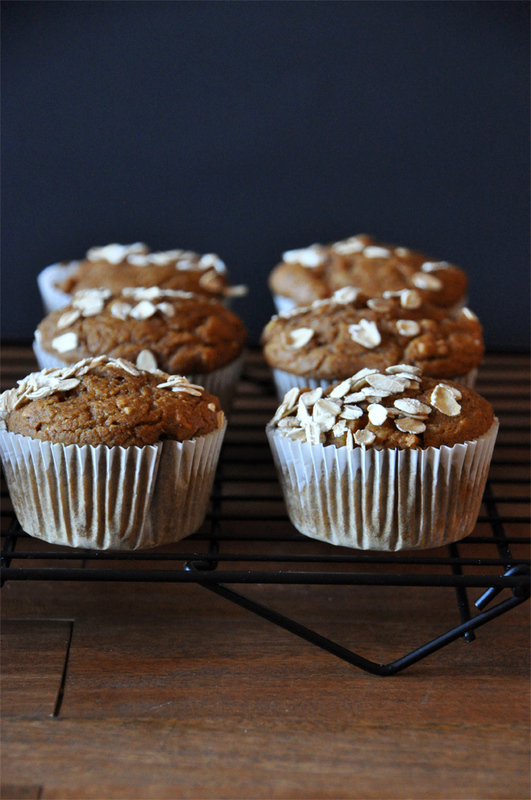 Vegan Pumpkin Apple Muffins – 1-bowl pumpkin apple muffins that include plenty of pumpkin puree and sautéed cinnamon apples. Vegan, ridiculously moist and positively scrumptious. Pumpkin Spice Latte Waffles – 1 bowl, 30 minute waffles that are tender on the inside, slightly crisp on the outside, and loaded with pumpkin spice latte flavor! 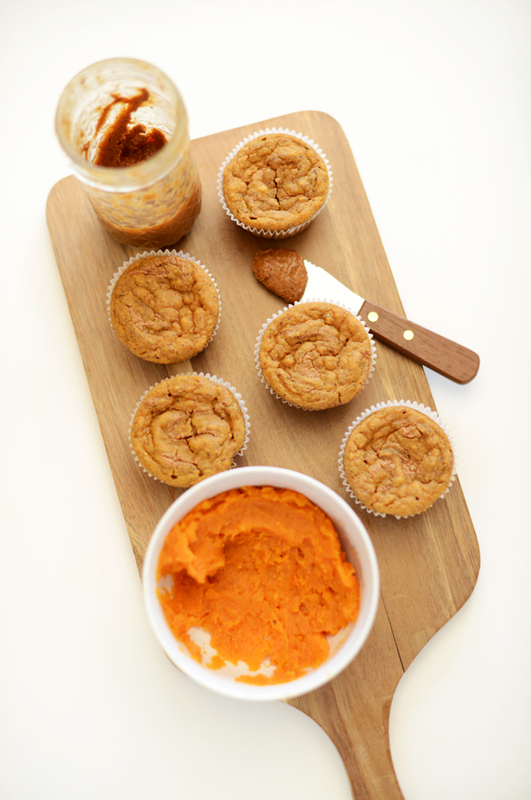 Healthy Carrot Apple Muffins (V + GF) – 1-Bowl, Vegan, GF carrot muffins loaded with fruit and veg. 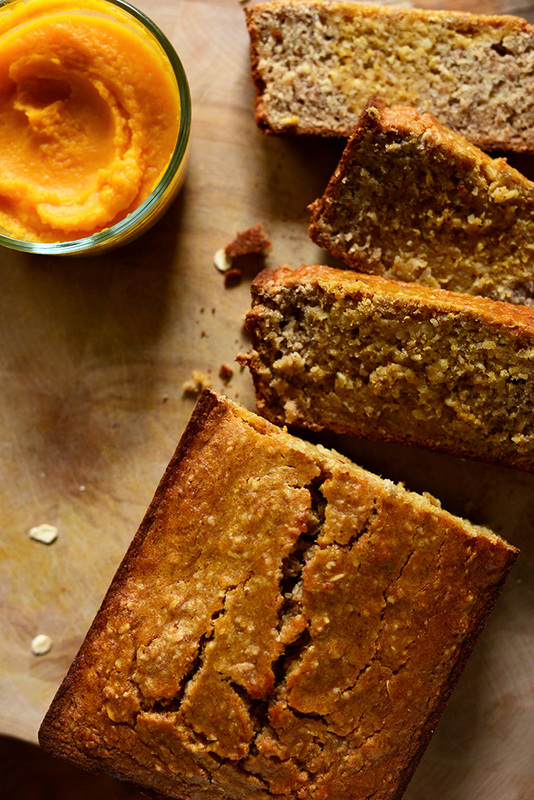 Super moist and flavorful, healthy and perfect for fall snacking. 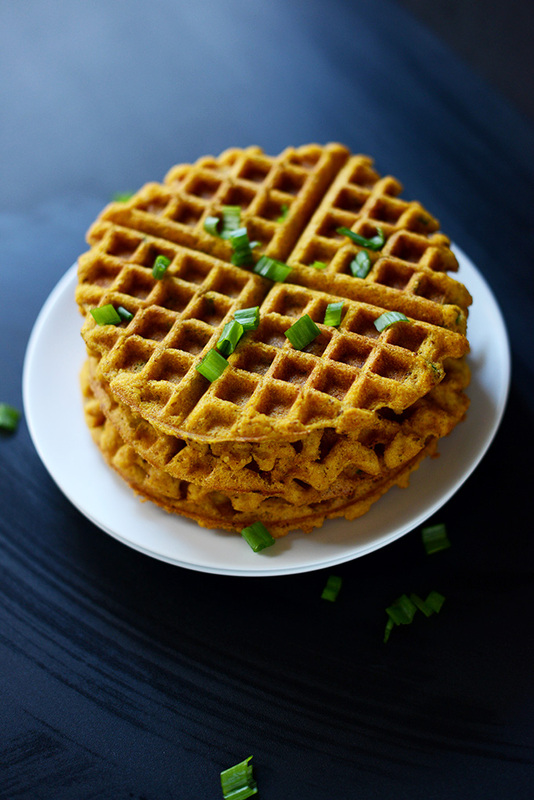 Savory Pumpkin Cornbread Waffles – Savory vegan pumpkin cornbread waffles that require just 30 minutes and 1 bowl. Top with whatever you please: an egg, vegan chili, avocado, or even butter and maple syrup. 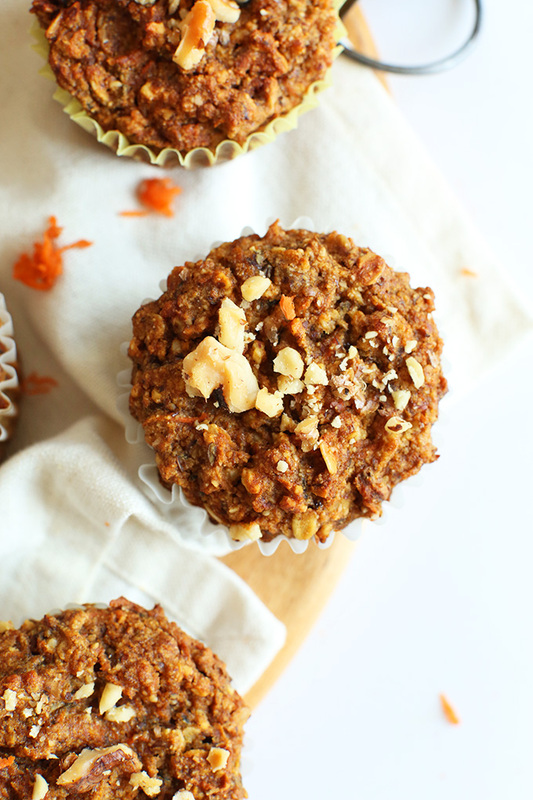 Sweet Potato Almond Butter Muffins – 30 minute, 1-Bowl super moist vegan muffins with sweet potato puree and a spoonful of salted almond butter in every bite. The perfect light breakfast or afternoon snack. 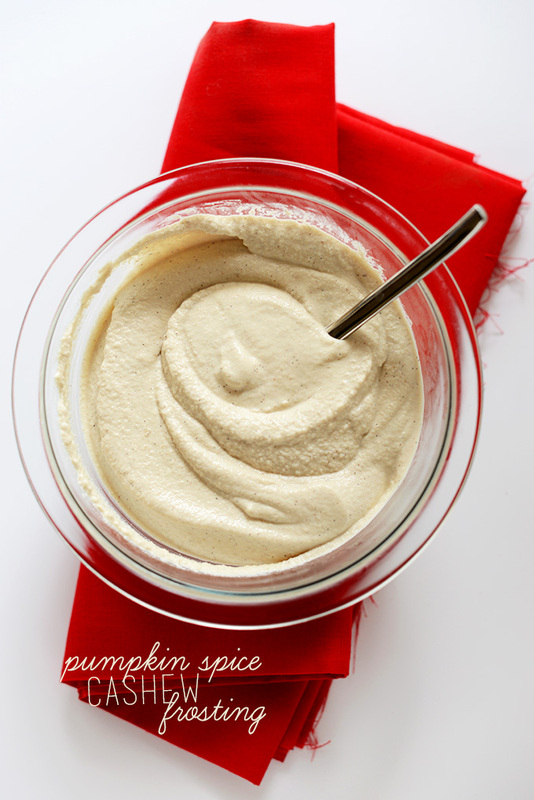 Pumpkin Cashew Frosting – Simple cashew cream frosting made with soaked raw cashews, maple syrup, pumpkin pie spice and almond milk. Super rich yet healthy, and perfect slathered on quick breads, cakes, muffins and more. Date-Sweetened Apple Pie Oatmeal – Creamy GF oats sweetened with dates and served with baked cinnamon apples. The perfect weekday or lazy weekend breakfast. 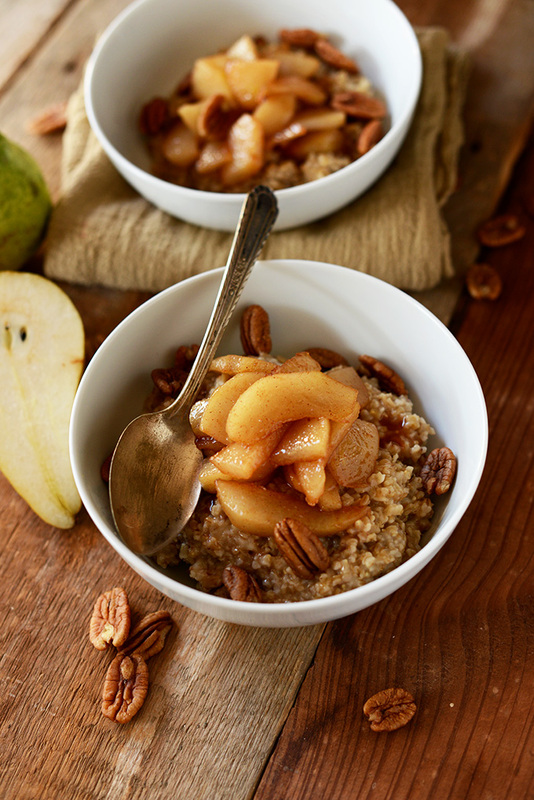 Brown Sugar Pear Steel Cut Oats – Warm steel cut oats with brown sugar pears and pecans. A simple vegan breakfast with full servings of fruit, fiber and protein. 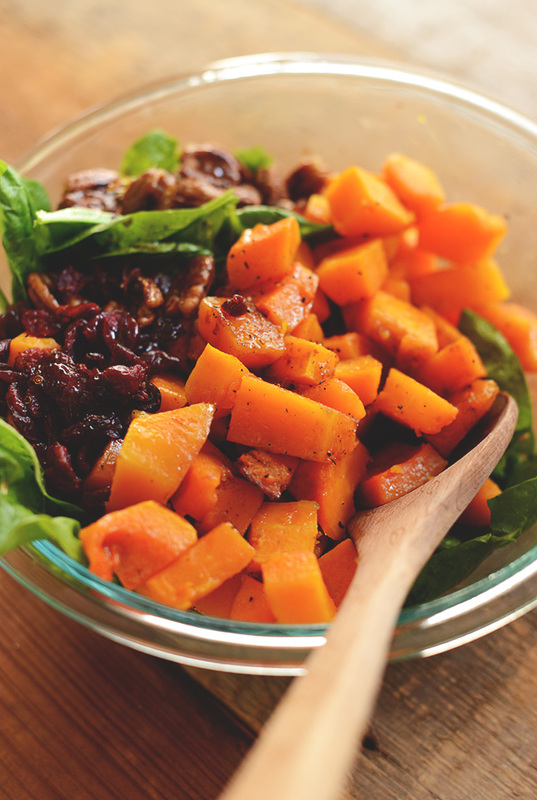 Warm Roasted Butternut Squash Salad – A wholesome 30-minute salad with roasted butternut squash, cranberries, spinach and candied pecans. Healthy, filling and a perfect take-along lunch or side at fall gatherings. Gluten Free Butternut Squash Banana Bread – Gluten free banana bread swirled with butternut squash puree, just 1 bowl required. Hearty, healthy, moist and delicious. 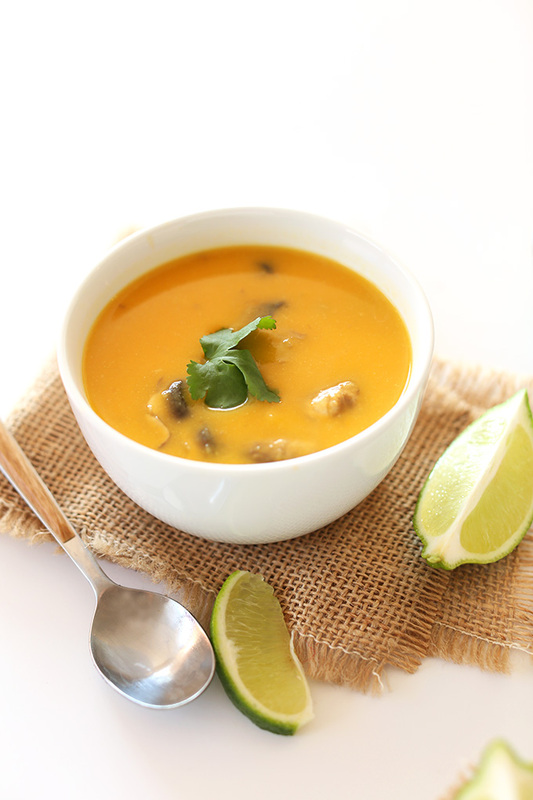 Butternut Squash Tom Kha Gai Soup (Vegan + GF) – Tom kha gai soup with a twist. Butternut squash puree makes it creamy, luxurious and doubles the flavor. Warm, gingery, spicy and the perfect soup to warm your weary bones. 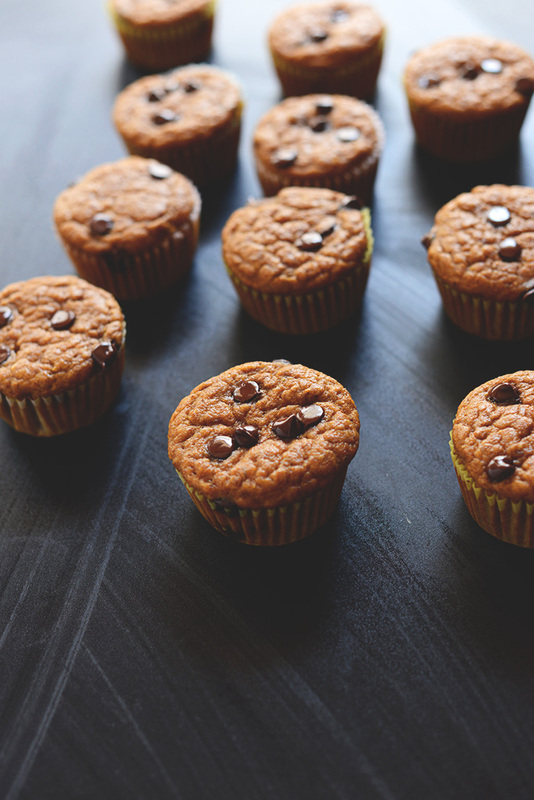 Vegan Pumpkin Chocolate Chip Muffins – 1-Bowl Vegan pumpkin muffins studded with chocolate chips. 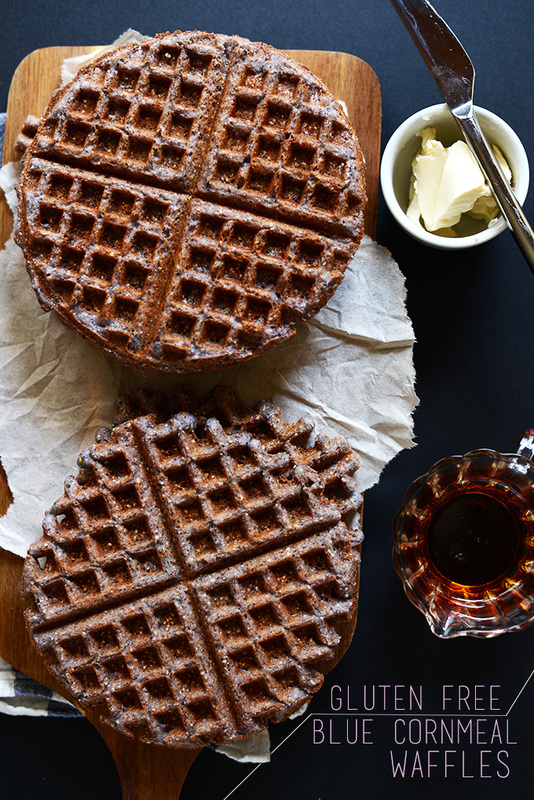 Super moist, simple and the perfect fall breakfast or snack. 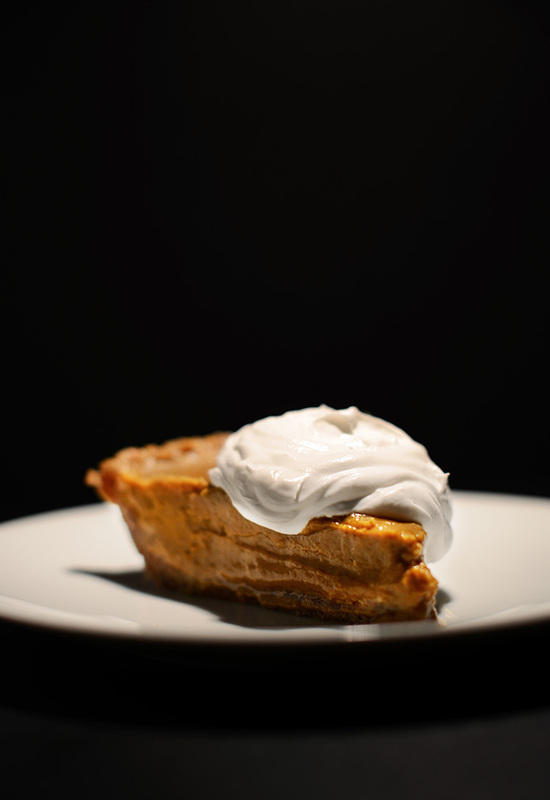 No Bake Creamy Pumpkin Pie – A creamy, no bake pumpkin pie with 30 minutes hands on prep, and a date-pecan-oat crust. Topped with fail-proof coconut whipped cream! 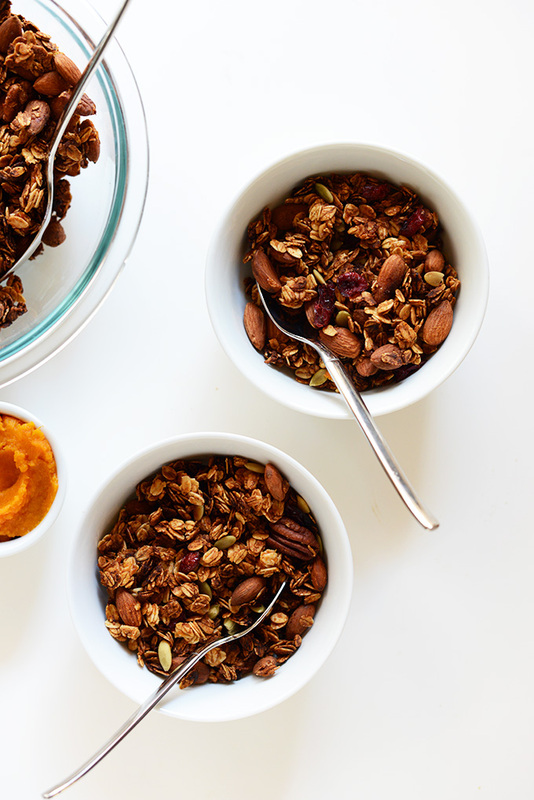 Sweet Potato Granola (V+GF) – Simple sweet potato granola with oats, nuts, pepitas and cranberries. Crunchy, sweet and satisfying and perfect over oatmeal, yogurt, smoothies or swimming in a bowl of almond milk. 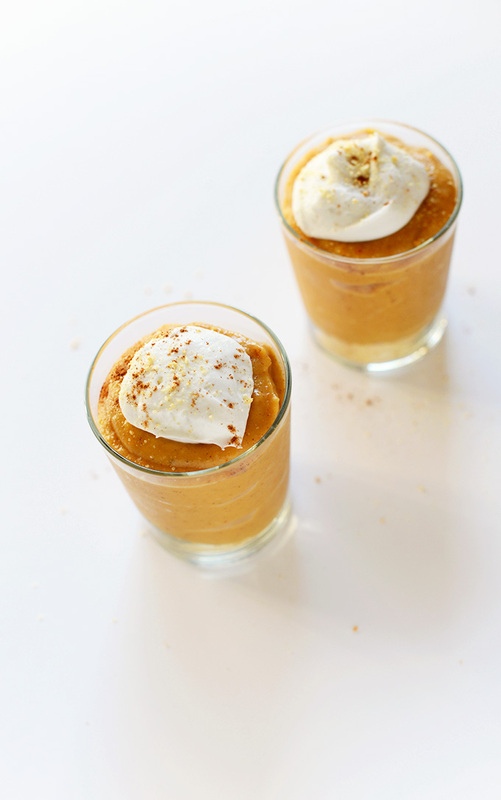 Mini Pumpkin Pie Shooters – Vegan pumpkin pie shooters that are perfect for entertaining or making ahead for easy weeknight desserts. Gluten free optional. 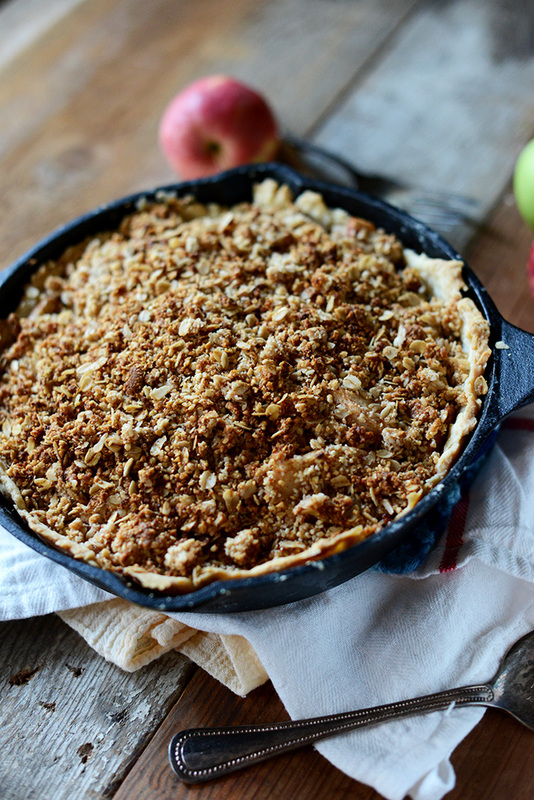 Deep Dish Apple Crumble Pie – Warm, cinnamon-spiced Deep Dish Apple Crumble Pie that’s perfect for fall and requires just 1 bowl! 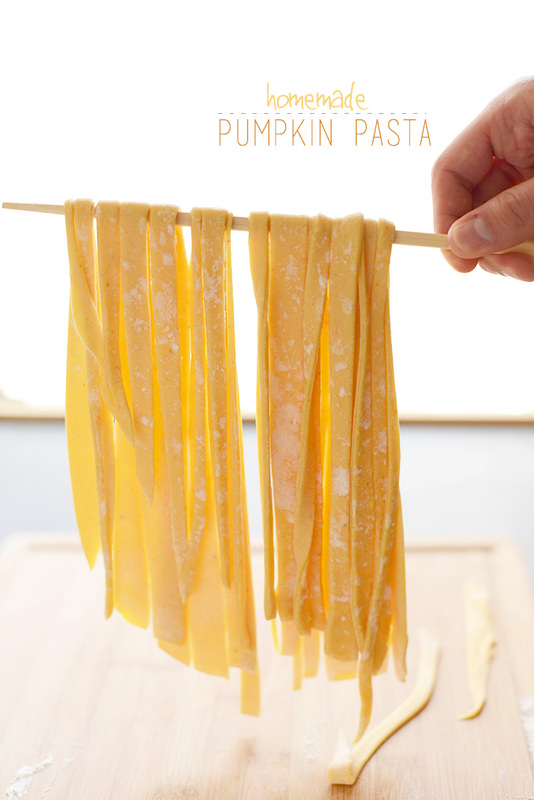 Homemade Pumpkin Pasta – Tender pumpkin pasta from scratch, no fancy techniques or pasta maker required! Gluten Free Blue Cornmeal Waffles – Crispy, slightly sweet blue cornmeal waffles that require 1 bowl and just 20 minutes. The perfect healthy fall treat. 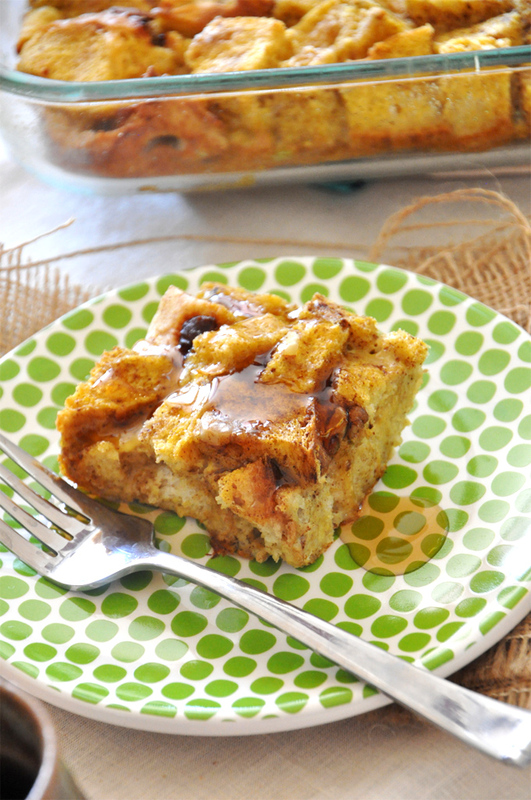 Pumpkin French Toast Bake – 8-ingredient sweet and spicy pumpkin french toast that’s made the night before for an easy, early-morning preparation. 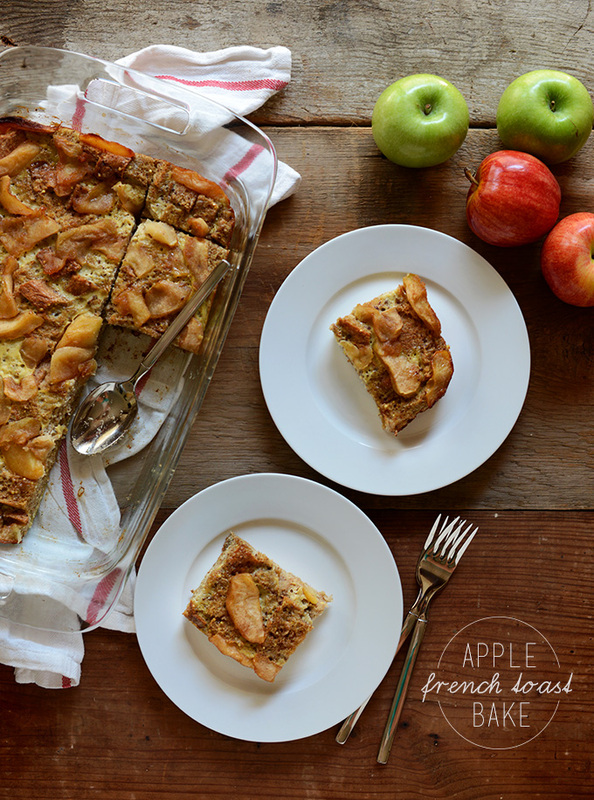 Baked Apple French Toast Bake – 7-ingredient french toast bake with cinnamon apples. Crispy, tender, full of delicious fall flavor. 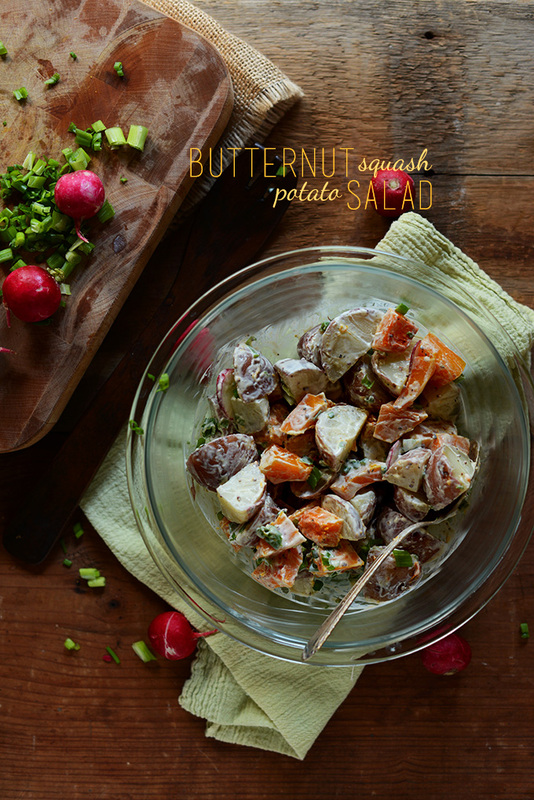 Butternut Squash Potato Salad – A spin on classic potato salad with butternut squash, radish, green onion and a creamy and light Greek yogurt-based dressing. Use dairy-free yogurt to keep this salad vegan! 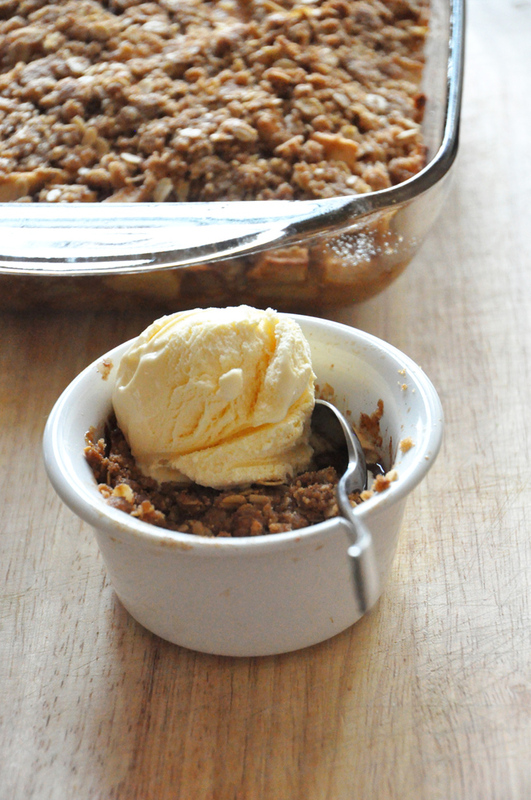 Vegan Gluten Free Apple Crisp – 1-Bowl apple crisp that has all of the warmth, spice and sweet flavor of traditional versions. It’s also ridiculously simple to throw together. 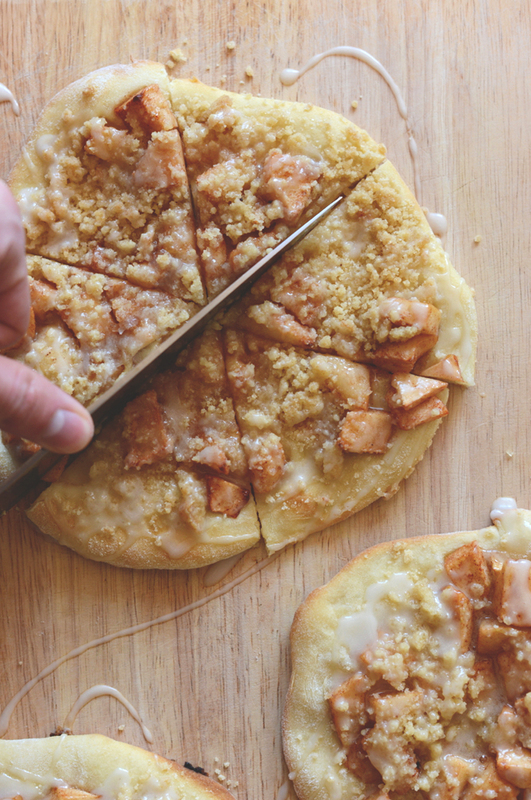 Dairy-Free Apple Streusel Breakfast Pizzas – 30-minute, 1 bowl breakfast pizzas that are loaded with baked apples, streusel and a simple vanilla glaze! 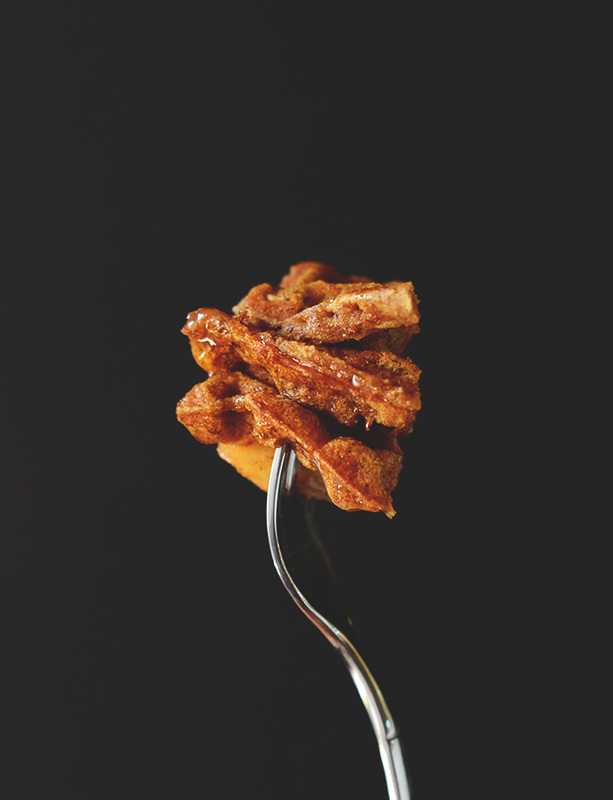 Vegan Apple Cinnamon Waffles – Cinnamon apple waffles made in 1 bowl and 30 minutes. Wholesome, simple, vegan and perfect for both everyday and special occasions. 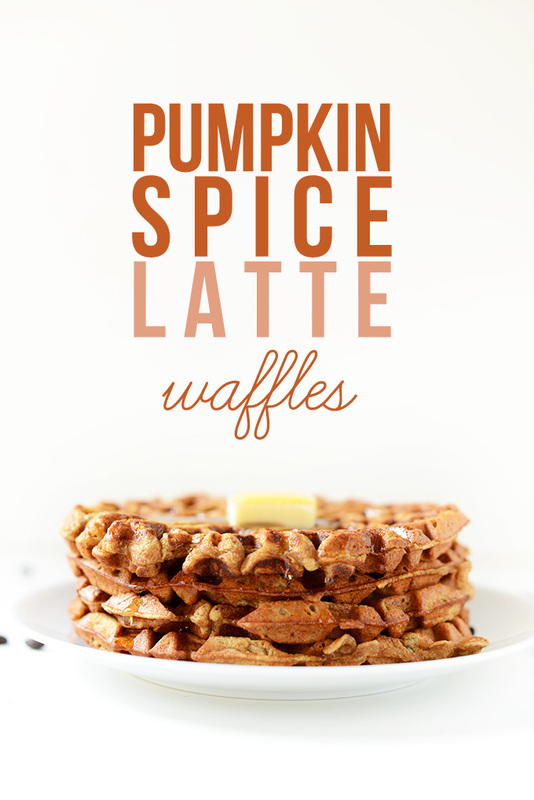 For a seriously delicious fall! These look amazing! Excellent how you have your recipe’s sorted out by the season :) thank you! Amazing selection of recipies, perfect for fall! Thanks for sharing!